Welcome to our Trip Advisor Certificate of Excellence Winning hotel (4 years running). 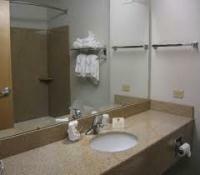 Family owned and operated featuring onsite guest laundry, business center, free parking and Wi-Fi. Award winning breakfast buffet and evening snack. 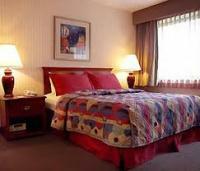 Our rooms feature a huge 42'' TV, microwave, refrigerator, and DVD player. Pet friendly rooms are available. Enjoy our p9icnic area with BBQ grill or take a stroll and enjoy our beautifully landscapes grounds. Close to Goshen College, Old Bag Factory, the Elkhart 4-H Fair, shopping, dining, and Quilt Gardens. Stay with People who care. For reservations: Phone 574-533-0408, or online at www.bwgoshen.com.